I think it’s the girly side of me that loves this photo. It’s so simple, but pretty and pink! I think it looks kinda like a flower. I took this with my cell phone camera one night when I was bored at work. 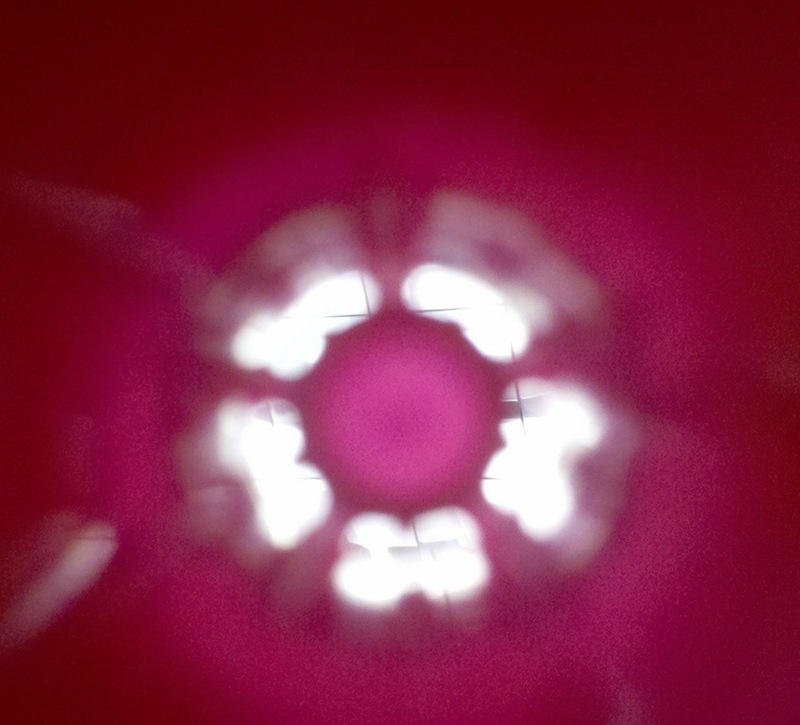 It’s shot through the cap of a pink highlighter looking up into the overhead lighting. I bet you never would have guessed that! So anyway, that’s my depiction of “through”.